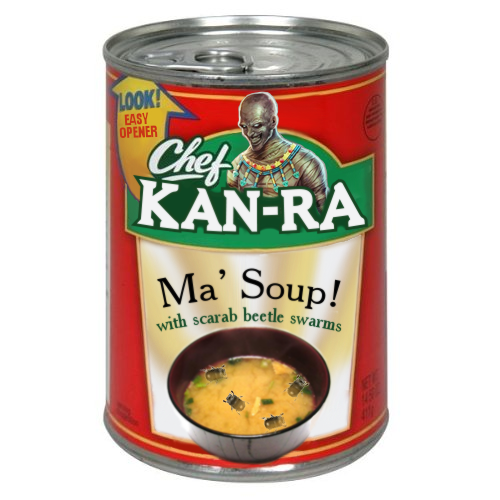 It’s time to talk Kan-Ra. For some of you the man with the sand is a bit of a sore subject. It’s coarse and rough and irritating. And it gets everywhere. But for those of you canonically-inclined, this piece will be met with eager anticipation. First… I’m really enjoying Kan-Ra’s backstory! Another interesting story, though I wasn’t able to pick up on any playstyle change hints! Maybe I just missed them, though. Edit - the notes about “taking their powers for his own” - does that mean that he will copy his opponent’s abilities, or maybe have specific specials which change depending on who he is fighting against? Very nice indeed… I really found this one interesting…! My fears… I will no longer need them! Huh. Kinda curious what they’re doing to him…felt like this one was cryptic to the point of uselessness. No obvious final sentence telling us what to look for, or explicit “his curses are getting weaker” line like we had with Spinal. Ah well. Keits seemed pretty aware of just how much people hate Kan-Ra in that Best of 3 interview, and how terribly un-fun he is to fight against, so I’ll just hope the redesign works. I’d like to not reflexively go “■■■■■■■■■■■■■” whenever I see him chosen. It’s not even like it’s a bad or unwinnable MU - dude’s just a pain in the ■■■ to fight. Lol I’m just waiting for GG to get in here and say something like “the structure of the fourth paragraph needs better sentence flow”. On a side note, great story and addition to the rest of the cast. I am really loving these backgrounds for the characters. I just wish we had a Season 2 book that would highlight the concept art, designs, and backstories of each character along with some notes of their playstyle. If not that, a way for them to be implemented into the game. I don’t know, seems to imply that there may be a shift in focus to curses and boons in his design, it could be interesting if done right. Also, that “death is not an obstacle for him” bit is also in the title. Could he be getting something “after death” akin to TJ’s last breath? Will he become a suicide fighter, hitting you with kamikaze attacks that he comes back from or something? I definitely think the last paragraph is meant to tease his changes, but I’m not sure (ha, ha “not sure” - thank you Idiocracy) what it’ll be. No that’s in reference to the Shadow lords…trying to take the power of the beings form the other dimension. Thus the reason he opened the portal. Maybe he will get more options to curse his opponents. He can already slow them. He might also be able to buff himself. As a Kan-Ra main I am pretty hyped by his background story. A true bad ■■■. Hopefully he stays as annoying as he is right now in S3. Will he become a suicide fighter, hitting you with kamikaze attacks that he comes back from or something? To me, this is about our current heroes (and those to be shown in Season 3) and indicates he’s studying them closely. “finding and studying these saviors” doesn’t quite seem to describe the Shadow Lords. “It’s coarse and rough and irritating. And it gets everywhere.” WHY. His hubris led him to orchestrate a conspiracy against his monarch that involved a wealthy noble, a general, a bandit, and himself. Okay so we know that the bandit is Spinal, but what of the other two? Could one of them be Tusk? Could one of them be a new character? Or maybe it’s just nothing. Does anybody else think that one of the other three conspirators could end up being one of the characters this season? I’m just getting that vibe for some reason. Literally posted at the same time. LOL. Sorry…I do not think Kan ra is going to “steal” moves like Shinnok. It says the King used every power and magick at his disposal to curse them. What if he cursed one of them with a vampiric curse?